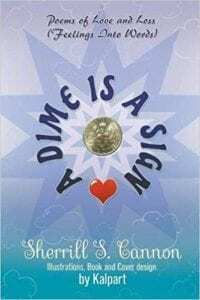 A Dime is a Sign has won a Bronze Medal in the Feathered Quill Awards! 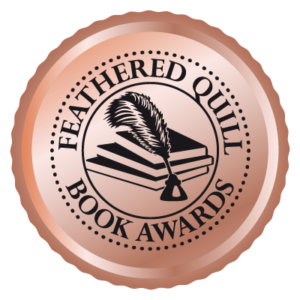 “We are excited to announce that the book “A Dime is a Sign” has won the Bronze/3rd Place award in the 2019 Feathered Quill Book Awards Program for the Poetry category! Congratulations! This year saw the largest group of nominations to date and we certainly had a hands full judging all the entrants. – This book continues the author’s award-winning poetry in excellent fashion. – It offers counsel and comfort to those who many be going through difficult times in their lives. Her poetry is both thought-provoking an inspiring. – Editing, format, cover, all elements of this book are excellent. 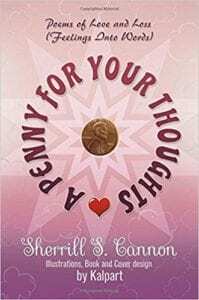 This entry was posted in Award-Winning, Awards, Consideration for Others, eBook, Emotions, Feelings, Friendship, Kalpart Illustrations, Kindness, Love Poems, poetry, Review, Reviews, SBPRA, sherrill s. Cannon, Teens and YA, Uncategorized, Valentine's Day on February 1, 2019 by Sherrill S. Cannon.